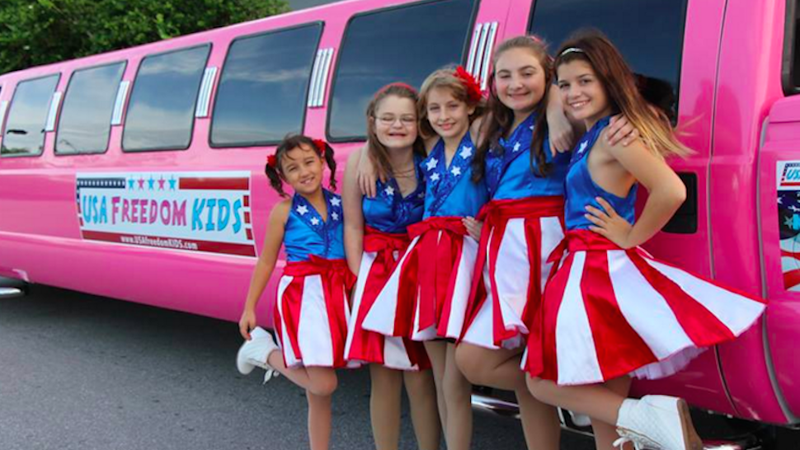 For two years, Jeff Popick has been managing the USA Freedom Kids (a.k.a the Freedom Girls), a girl group featuring his own daughter that gained national attention following a robotic, jingoistic performance at a recent Donald Trump rally in Pensacola, Florida. Asked about the birth of USA Freedom Kids, Popick said the group coalesced over the past two years, and the current lineup started performing in earnest about six months ago. Building up momentum wasn’t easy. Popick identifies as a Trump supporter, but it seems more likely that he’s a “whichever Republican candidate would let the Freedom Kids perform first” supporter. According to what he told the Post, he had reached out to several other candidates, but Trump’s campaign was the only one to respond. Image via USA Freedom Kids.